Food and literature have been intertwined for years. Under the Tuscan Sun inspired many to create authentic Italian countryside dishes. At the moment I'm reading two books making me yearn for authentic French food, the most accessible of these being crêpes. 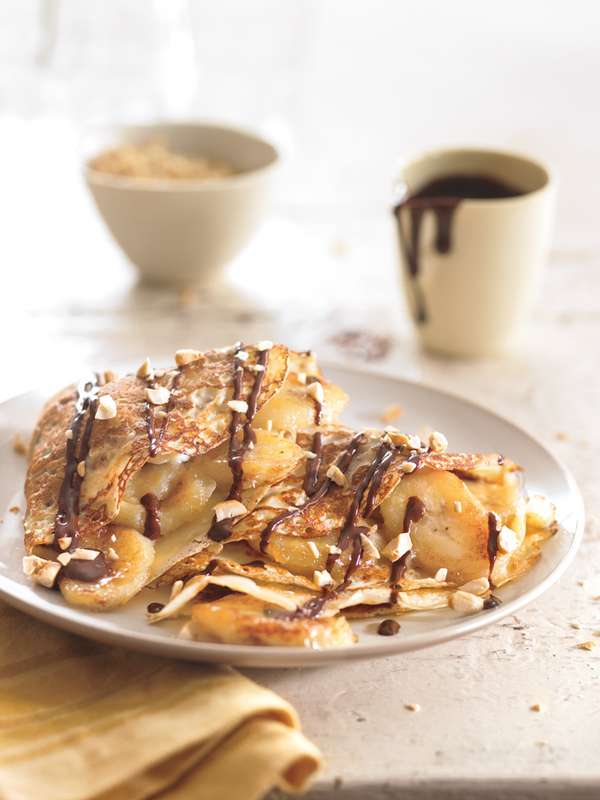 Their simple preparation and fast cook time make crêpes ideal for weekend breakfast - especially if you have children with eager eyes and hungry stomachs. Which brings me to my next topic: encouraging these girls to crave healthy breakfasts when the western world seems bent on telling them a bowl of sugared flakes is the norm. Crêpes - especially those of the savory variety - are rich in protein and vegetables. And did I mention how pretty they can be? Yes, sweet ones are all the rage and a fun treat, but for regular meals I love the idea of a chicken and broccoli crêpe or spinach and cheese. Both of these being easy to convince a your Francophile to try. Now, about those books... I'm absolutely smitten with both. One is a novel that I can't put down and simultaneously hope never ends. Sadly I'll finish it this weekend, but every Loire Valley filled page of it has been inspiring and interesting. French Illusions has all the makings of a page-turner: tension, European travel and the potential for romance that never quite seems to pan out. An ambitious young American girl fibs her way into a lavish au pair position for a wealthy French family only to discover that perhaps lying about her language skills wasn't the most wise of plans. I won't spoil the story, but this is a fantastic read. My next recommendation is more of a reference book, but is so beautifully designed and chock full of useful information it is mind-blowing. I can't help but see the irony that The Farm-to-Table French Phrasebook would have helped the subject of the novel I'm reading navigate the terrain of her foreign surroundings with aplomb. Packed with foodie terms, cultural tips and everyday French phrases that will make even a novice sound like a local (well, except for that telltale accent). Even if you're not boarding the Boeing 777 Dreamliner soon you'll want to snag a copy of this book - if merely to entertain family and friends while you whip up those fancy crêpes. What I like most about these books is their non-touristy appeal. Both of them - in their own unique ways - are educating you on the nuances of French living, French language and the esteemed cultural cuisine. Reading each I've gained a getter understanding of customs, etiquette and an awareness of more pronounced and nuanced cultural differences. If you'd like a mini-vacation without lifting your passport from the drawer, consider these two books a delicious tour of French cuisine and cultural divides. So now... Qui veut de délicieuses crêpes faites maison? 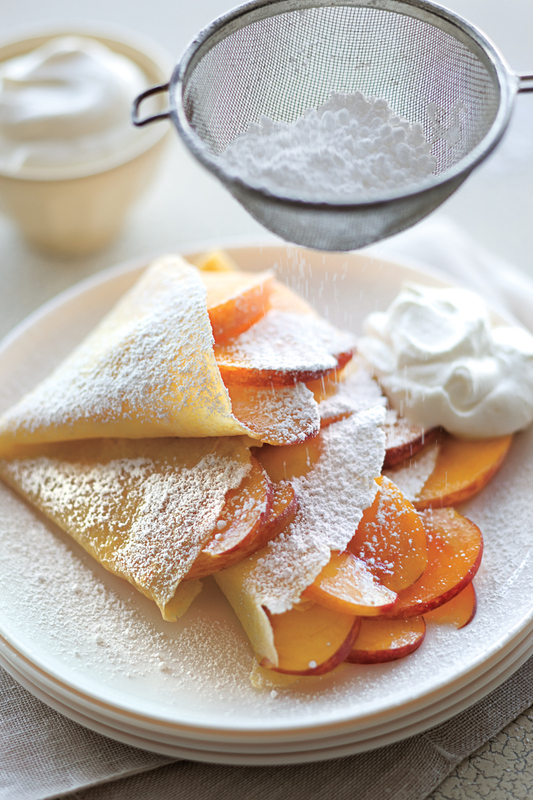 Translation (courtesy of the fab Farm to Table book mentioned above) Who wants some delicious homemade crêpes? Answer: I believe we all do. Happy Weekend!